Miami feels like home... | Insightful information on the real estate market in the Miami area and how what's happening is impacting opportunities to purchase or sell real estate in South Florida. Real estate blog written by Arielle Biscayart, real estate advisor at ONE Sotheby's International Realty. Services provided in English, Spanish, French, Italian. Any real estate need ? Contact me : arielle.biscayart@sothebysrealty.com or + ( 1 ) 305-303-1218. The Lab Miami, which received grants from the honorable Knight Foundation, is a 10,000 sf warehouse in Wynwood which was turned into a meeting and working place for creative entrepreneurs and start-up leaders. It offers subscription-based working space as well as a vast series of educational programs on topics such crowdfunding for real estate, how to build a successful app and workshops on design or coding. The first US-based Microsoft Innovation Center opened last year in Miami and is hosted at Venture Hive, a start-up incubator located in Downtown Miami. The Downtown Miami and Wynwood areas are actually gathering a few places and initiatives focusing on building-up Miami’s high-tech community. The Miami-based Simkins family, which made most of its financial success in the paper manufacturing business, has recently presented plans to the City of Miami to design the Miami Innovation District, an ambitious mixed-use real estate project that would be located near Downtown Miami and would offer thousands of square feet of retail, restaurants, small residential units for start-up creators and software engineers and approximately 4 million sf of office space targeting entrepreneur incubators and large technology multinationals such as Google or Yahoo. The project for the Miami Innovation District has not been approved yet, however, Miami is more economically vibrant then ever and will, at some point, become one of the US technology hubs we will be counting on. Allapattah means alligator in Seminole indian language. 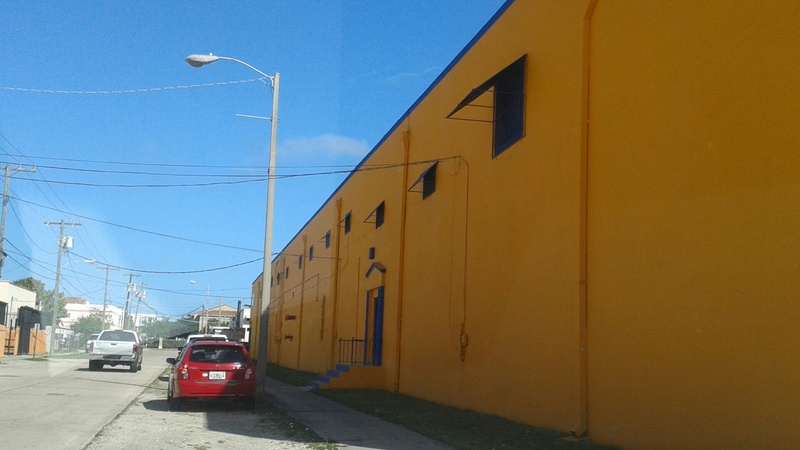 This industrial area of Miami stands between the Airport expressway ( 112 ) and the Dolphin Expressway ( 836 ) and from NW 7 avenue ( a few blocks West of Wynwood ) to NW 27 avenue. 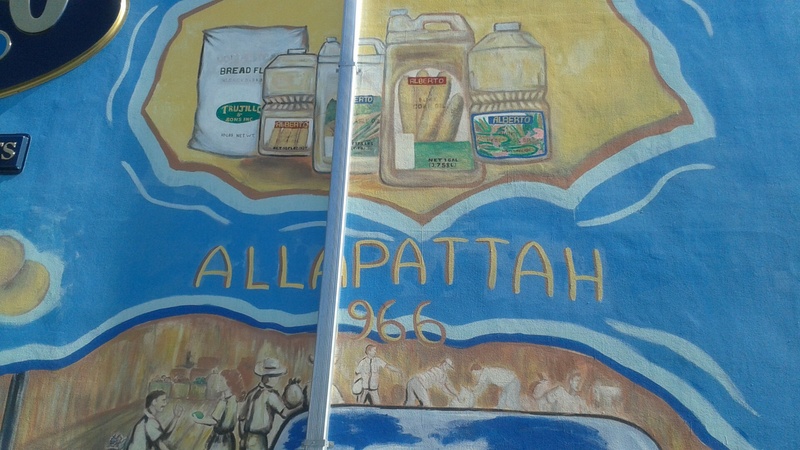 Allapattah saw its first permanent settler in 1896. The neighborhood developed between 1896 and 1950 together with the growth of the Florida East Coast Railroad. One can notice many old railroad tracks crossing the roads. The area started welcoming African Americans in the 1960’s, as they were pushed away from their homes when interstate I-95 was being built. It also saw the arrival of many Cuban immigrants, leaving Cuba after the 1959 revolution. Immigrants from Honduras, Nicaragua, the Dominican Republic and Haiti arrived much later, in the 1980’s. Nowadays, Allapattah is a melting pot of residents and workers of the Caribbean, Central and South America. 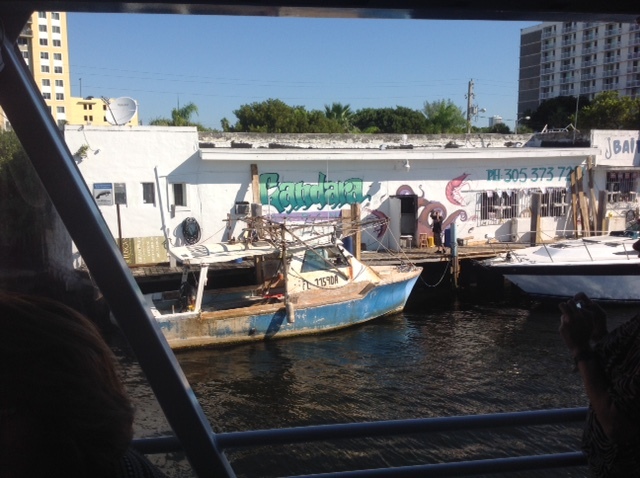 A growing number of white people are getting back to the area, as owners or managers of import-export of produce or meat, clothing manufacturing businesses or as real estate investors, purchasing warehouses at prices which are much more accessible than those of Wynwood or Doral and leasing them out to various tenants. These tenants work in the distribution, manufacturing, import-export or car repair industries. It is a working class neighborhood which hosts many warehouses. It is the heart of the produce, and food distribution such as for Trujillo and Sons Inc and Mr Greens Produce as well as clothing manufacturing businesses in Miami, low density multi-family buildings, and houses which were mostly built in the 1950’s. Allapattah offers a lot of affordable housing and is located just North of the Jackson and University of Miami medical centers. It is strategically located for a dot.com distribution center, storage center or refrigerated produce business since it is located close to major routes ( I-95, 112, 836 ) as well as the Miami River, Wynwood and Downtown. 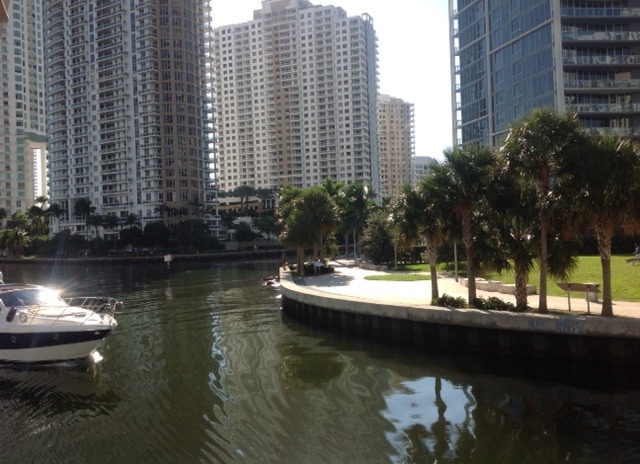 I recently attended a presentation coordinated by CREW Miami at the Four Seasons hotel on Brickell Avenue. It was the “2015 economic update”, presented by Hugh F. Kelly, Clinical Professor in New York University’s Schack Institute of Real Estate, where he has taught for 30 years. According to his analysis, US cities which can offer a developing Downtown area as well as real estate assets based on rental income and long term increase in average property value are the ones that are currently attracting most investors as a time where stock markets are volatile. 366 million dollars where spent in buying commercial real estate in 2014 ( office buildings, multi-family buildings that have more than 4 units, warehouses, retail, shopping centers and land ). Twelve cities are included in the top list for commercial real estate sales in 2014 and Miami is one of them, together with cities such as New York, Los Angeles, Brooklyn and Washington. In the category of holding hotels as a real estate asset, Miami ranks first, Brooklyn is number 4 and, believe it or not, Manhattan is number 13. In the category of holding multi-family/ apartment buildings, Brooklyn appears as number 1 and Miami as number 9. When it comes to the retail market, Brooklyn ranks number 1, Miami number 2 and New York number 3. Among the interesting ideas that I picked from this presentation, I also heard that Generation Y ( those born between 1977 and 1994 ) represent 160 million people in the United States, which is approximately half of the total US population. 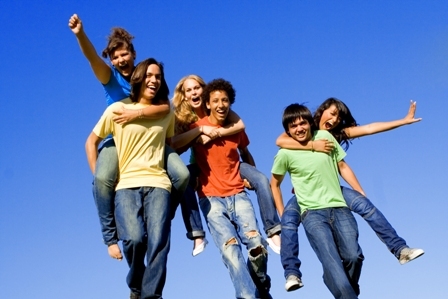 According to William J. Schroer, who wrote on “www.socialmarketing.org”, Generation Y can be defined as ” The largest cohort since the Baby Boomers, their high numbers reflect their births as that of their parent generation..the last of the Boomer Is and most of the Boomer II s. Gen Y kids are known as incredibly sophisticated, technology wise, immune to most traditional marketing and sales pitches…as they not only grew up with it all, they’ve seen it all and been exposed to it all since early childhood.” Hugh F. Kelly says that Miami’s attractiveness to the 25-34 year old demographic is increasing and approaching New York levels, which is interesting as, according to him, this crowd was way below US national average in Miami until 2000. This trend is now reversing and exploding. Miami is a surprising city, where a 45-floor modern building can rise next to an old church or an abandoned warehouse, where a luxury store can stand next to a small neglected house from the thirties and where big chain retailers are neighbors to independent movie theaters. I love art movie theaters. Besides mostly featuring independent American and foreign movies, which can be refreshing once you have seen three blockbusters in a month, they somehow find a way to draw people away from their home or device screens, enhance a sense of community or revitalize some areas. Also, their architecture and their selection of quality movies and events definitely bring character to a few areas such as Tower Theater in Little Havana, or Coral Gables Art Cinema in Coral Gables, sitting across the street from independent bookseller Books & Books. Miami gathers an incredible choice of independent movie theaters which aim at showing quality movies for adults and families that are not easily accessible in regular theaters and appeal to the multi-faceted demographics of South Florida. O Cinema was created thanks to a matching grant from the Knight Foundation and now offers three venues : Wynwood, Miami Shores and Miami Beach ( on 71st Street ). 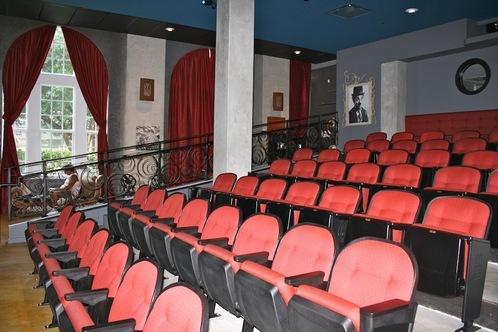 The Miami Beach Cinematheque sits in a beautiful Art Deco building which used to be where the City of Miami Beach was. Bill Cosford Cinema may actually be the exception in regards to its architecture as it is located in a quite insignificant building at the University of Miami, in the Coral Gables campus. Miami-based Ana and Hans Morgenstern have an inspiring blog, www. indieethos.wordpress.com that offers reviews about movies which are mostly screened in these small theaters. This is also where most of Miami film festivals take place, such as the Miami Jewish Film Festival ( January 15-29,2015 ), the Miami International Film Festival ( March 6-15, 2015 ) and the Gay and Lesbian Film Festival ( April 24-May 3, 2015 ). Purchase your tickets for the upcoming Miami Jewish Film Festival as tickets often sell out long before the end of the current year. Happy holidays to all ! 1 ) MOCA North Miami has a new director since last summer. 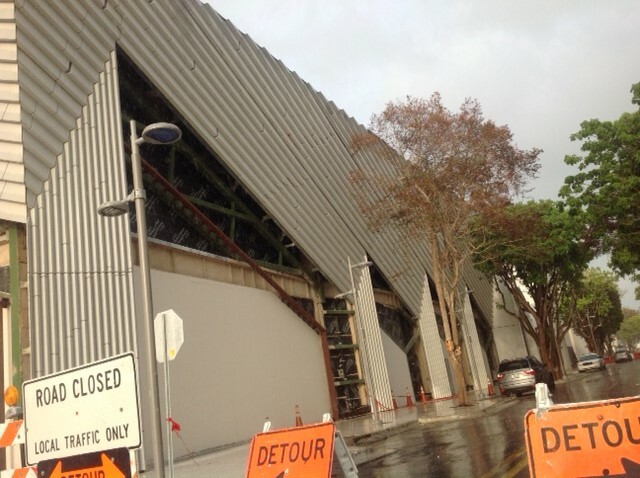 Following a months-long litigation between the City of North Miami and the former MOCA board, the board has left the museum to open ICA, the Institute of Contemporary Art, which unveils its temporary space this week in The Moore Building in the Design District. 2 ) Chinese painter and choreographer Shen Wei, who choreographed the opening ceremony at the 2008 Beijing olympic games, is having his first US museum solo exhibition and performance; “In black, white and grey “ at the Freedom Tower in Downtown Miami. His show will offer a combination of dance performance and an exhibition of the artist’s paintings. 3 ) After years of showcasing at the Ice Palace, Pulse art fair will be held this year under a tent in Indian Beach Park in Miami Beach ( 4601 Collins Avenue ). 4 ) Art Basel has partnered with Kickstarter in crowdfunding programs to help fund outstanding non-commercial arts projects from around the world. 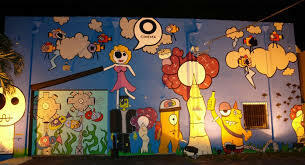 5 ) As the gentrification of Wynwood is moving forward, rents have much increased. As a result, a few galleries and artist studios are leaving the area and moving further North to the Little River or Little Haiti neighborhoods or further South, near Downtown Miami. 6 ) The fairs are spreading out to various areas such as Miami Beach, Midtown and more recently to Downtown Miami ( Miami River Art Fair, Miami Street Photography Fair etc… ). 7 ) The traditional Art Basel Miami Beach MAM Ball has been replaced by a very sophisticated dinner and art experience that will take place at PAMM ( Perez Art Museum ), later in January 2015. Of course, many parties are taking place…after all, this is Miami ! Parties are organized by local museums, art collectors, gallery owners or by developers such the one that will be coordinated by Argentinian developer Alan Faena. Faena seeks to promote the Faena House and Residences, a six-block development in Miami Beach designed by Foster + Partners, which will include the former Saxony Hotel, the Versailles, the Claridge hotels, luxury residences, retail and garage spaces. It was also recently announced that the Faena Forum ( whis is apparently a temporary name ), an event and cultural program venue designed by architect Rem Koolhaas, will also be added to the mixed-used development. 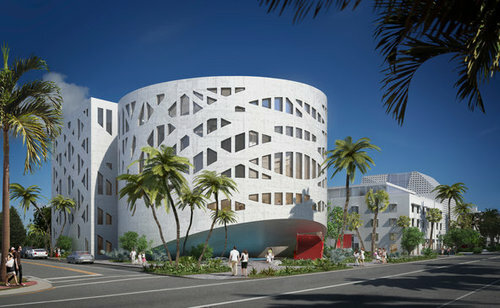 It will be the equivalent of the Faena Art Center located in Buenos Aires. 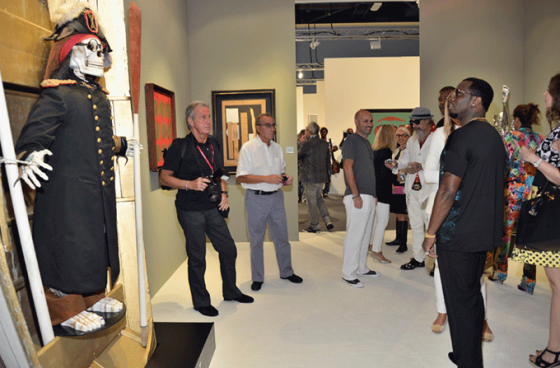 Happy Art Basel Miami Beach week ! There are so many urban development projects currently going on in Miami that it’s almost impossible to be perfectly updated on each one of them. Large mixed-use developments are being built in various areas, from Doral to Downtown Miami and Bal Harbour, The Miami Design District and Miami Beach. Miami will become one of the most vibrant shopping destinations of the world, a sort of New York ( Manhattan ), Dubai or Shanghai by the ocean with a sparkling Latino twist. Its identity is clearly evolving from a vacation destination to a more sophisticated and confident international metropolis. Brickell City Centre, developed by Hong-Kong-based Swire properties, is a $1.05 billion/11-acre project, which is currently under construction. It includes 700 Brickell and various blocks just West of Brickell, between SW 7th and SW 8th Streets. Its design should really change the way part of the Brickell area looks, with its see-through roof connecting the various sections of the development, from retail and restaurants to residential, from residential to office spaces. 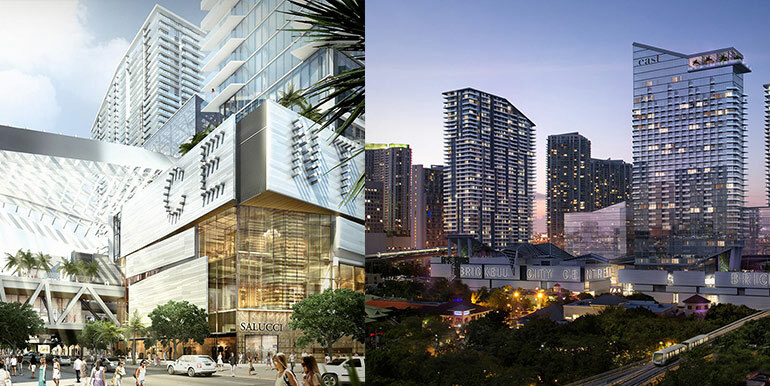 The Whitman Family Development, which owns and manages The Bal Harbour Shops, has signed an agreement with Swire Properties to manage the retail component of the project and recently announced that Saks Fifth Avenue will open a 107,000 sf anchor store there. The first residential tower, Reach, which is planned to be completed at the end of 2015, is said to have sold 70 % of its residences. The second residential building will start selling by the end of the year. Miami WorldCenter, another major development, which will start construction during the first semester of 2015, in Downtown Miami, West of Biscayne Boulevard and Bayside Marketplace and just East of the future All Aboard Florida or Miami Central train station. The 10-block development will feature residential units, thousands of parking spaces and 765,000 sf of retail, including Macy’s and Bloomingdale’s. Miami WorldCenter is now launching Paramount, its first residential tower. 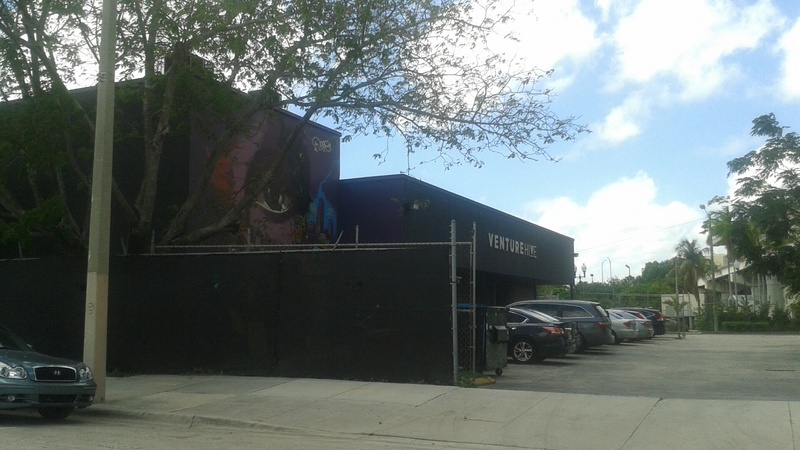 The Miami Design District is being expanded and has been going through major construction over the past two years, especially West of NE 2nd Avenue, between 38th and 40th streets. Miami-based developer Craig Robins will increase its retail space by approximately 30%, offering additional art, dining and luxury shopping experiences with boutiques such as Hermes, Louis Vuitton, Bulgari, Celine, Prada, Cartier and more as well as a few art galeries and furniture showrooms. Also, residential towers such as Baltus House and a large parking are being built. 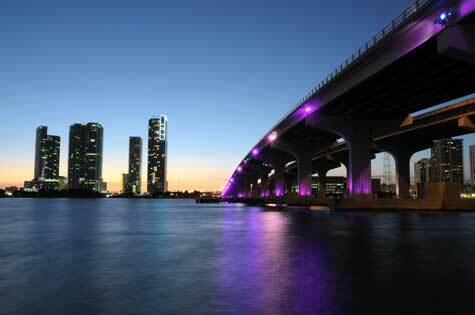 The Miami Design District aims at becoming the point of convergence of art, entertainment and luxury shopping in Miami. Therefore, wherever you go around these neighborhoods, the value of office, retail and residential real estate is going-up. Its population of residents and businessmen/business women is expanding too.